This is the third of four stories on developments around the Caneel Bay Resort, which has been closed since Hurricane Irma struck the territory in September 2017. Gary Engle of CBI Acquisitions. Gary Engle is CEO and chairman of Stoneleigh Capital LLC, the parent company of CBI Acquisitions, which owns Caneel Bay Resort within the Virgin Islands National Park. He and his management team had been negotiating with the Park Service since 2010 to get an extension on the retained use estate, or RUE, the agreement under which they operate the resort. The RUE dates back to Laurance Rockefeller’s donation of the Caneel property to the NPS in 1983. Since then, the resort, under various owners, has paid no rent to the federal government for its use of park land, possibly under the assumption made in 1983 that in 2023 the resort itself would transfer to park ownership. Gary Engle had been negotiating with the National Park Service to extend the RUE since 2010, but over time negotiations broke down. After the election of Donald Trump, Engle considered a change of course. Working with consultants, he wrote up proposed legislation, HR 4731, which is now before Congress, to give a retained use agreement to CBIA that would extend for 60 years – 20 years beyond what was called for in the previous negotiations. 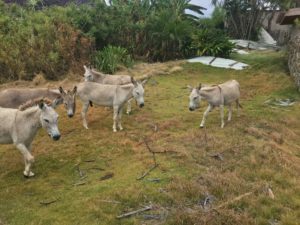 Donkeys still roam on the Caneel Bay Resort property. 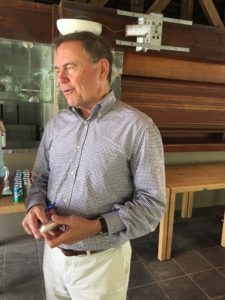 Although RUEs are rare within the NPS, and there is no precedent within the Park Service for one beyond 40 years, Engle is adamant about getting a 60-year extension. “A day less than 60 years – I’m not interested,” Engle has said on several occasions. The proposed bill’s passage would nullify the need to continue negotiations with the National Park Service, which concerns some community members who fear that many of the restrictions that are part of the original RUE will be lost if HR 4731 is passed. Delegate to Congress Stacey Plaskett, who introduced the bill, said the proposed bill does include restrictions, and Engle has made some concessions. “It has never been my intention to give CBI carte blanche with HR 4731,” said Plaskett during a meeting with community members at Caneel Bay in April. Plaskett has said her intent in proposing the bill is to get the resort up and running as soon as possible. The resort typically provides employment for nearly 400 Virgin Islands residents and an additional 50-60 contractors. 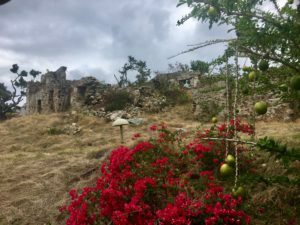 Plaskett calculated that if negotiations are stalled until 2023 when the current RUE expires, it’s likely that the NPS would need two years to choose another developer for Caneel Bay, and construction could take another three years. That means the earliest Caneel Bay would reopen is 2028, and that could be devastating to the economy of St. John. Engle said he plans to rebuild Caneel Bay as an exclusive “boutique” resort. His preliminary plans call for the construction of between 150 and 170 guest units, including approximately 40 suites to accommodate families. Before the hurricane, Caneel Bay had 166 rooms. The present RUE allows for the construction of up to 370 guest units (with height restrictions,) but Engle said he doesn’t intend to build to maximum density. He also told community members he has no intention of converting ownership to timeshares and has no interest in “flipping” the property once it’s rebuilt. The present RUE allows CBI to sell the property with the permission of the National Park Service, and if the RUE is extended, a future owner could develop the property to its maximum density. Engle’s vision of continuing as an upscale resort appealed to business owners who attended two meetings with the resort management. Many of them said they are looking forward to once again welcoming Caneel Bay guests – guests who spend on average $780 a night for a room during high season and have the money to patronize expensive shops and fine-dining restaurants. Engle told them he hopes that he can get HR 4731 attached to an important funding bill, such as the upcoming bill to fund the Federal Aviation Administration. Under the present RUE, CBI does not pay to lease the property from the NPS, but under the proposed bill, it will start paying for its lease. The amount will be determined in the future through mediation. Members of the St. John community said they were disappointed to learn that under the proposed bill, the income generated through CBI’s lease will go directly to the federal government and not to the Virgin Islands National Park to fund repairs to its infrastructure, hire employees, and expand its programming for the public. 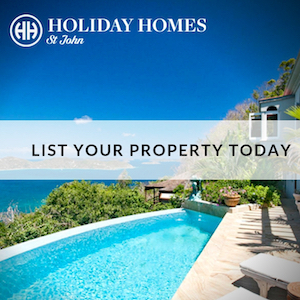 Shared content for Virgin Islands Source and St. Jonn Tradewinds.